There’s a new Mil-Spec red dot sight from Sig Sauer making its official debut at the SHOT Show, designed not only for sport shooting, but also with law enforcement and military applications. The ROMEO8H is a 1x38mm unit that is built to stand up under “the most severe conditions,” according to the company announcement late last year. It features a 38mm rectangular view window with a full sized red-dot sight, and a rugged housing. It will maintain zero under harsh conditions and it has high performance coatings for good light transmission and red dot contrast. The ROMEO8H weighs 10.3 ounces, operates on the power of a CR123A battery that should provide up to 100,000 hours of service, and there are 10 daytime and two night vision settings. 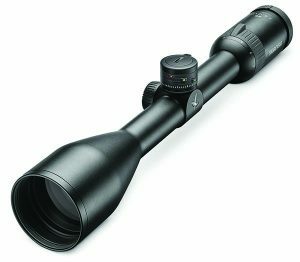 This lightweight scope has a new magnification range, allowing hunters to use it in a variety of terrain, from heavy cover to wide open spaces. 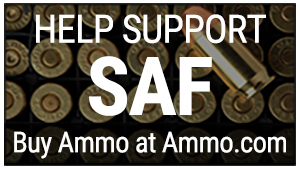 It features a patented 4-point coil spring system and is available with an optional ballistic turret. It measures 13.1 inches in length and weighs 16.2 ounces. Steiner ‘s new Predator AF binocular line, available in 8x30mm or 10x42mm, features autofocus and C.A.T. (for “Color Adjusted Transmission) lens coating technology. A second entry is the dS scope, featuring digital targeting technology. This 5-25x52mm scope is capable of displaying distance to target and windage marks, and operates off the power of a CR123 battery. It measures 15.87 inches in length and weighs 38.4 ounces. It is treated with Swarotop, Swarodour and Swaroclean optical coatings. 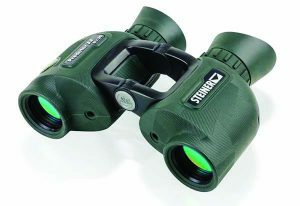 Right before the holidays, Steiner announced the Predator AF binocular line, a series of compact porro prism models available in 8x30mm or 10x42mm. According to Steiner, the Predator AF models feature autofocus and C.A.T. (for “Color Adjusted Transmission) lens coating technology, and dual diopter adjustment rings. There is no center focus wheel in this binocular model, yet they provide a clear view from 20 yards to infinity. The lens coatings provide a sharp, clear image that allows the user to spot game against the natural background. Their external surface is textured for a firm hold. The 8x30mm weighs 19 ounces while the 10×42 weighs 30.3 ounces. German Precision Optics’ new 6-18 x 50 riflescope features ¼ MOA windage and elevation adjustments. Heading into 2019, Leica announced that it has upgraded its Ultravid binocular models. The spruced-up roof prism binoculars feature leather inlays and they come with a calfskin case. These binoculars will be produced at the company’s Wetzlar, Germany headquarters facility. The Ultravid compact is available in 8×20 and 10×25 versions. They feature aspherical lenses for a sharp edge-to-edge image. German Precision Optics USA has announced that its Passion 3X riflescope line has been expanded with the addition of a 6-18x50mm model, built on a 30mm machined aircraft-aluminum main tube. It comes standard with a GPO MOA ballistic reticle and ¼ MOA target turret for windage and elevation. This scope also boasts GPO bright lens coating for light transmission and double HD glass objective lens.